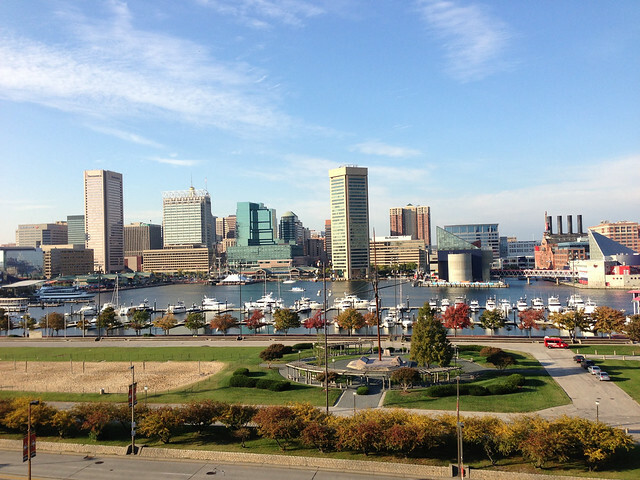 After arriving in Baltimore, I got out to see the city on foot. That has become such a tradition and I haven’t been to anywhere new in quite a while so it was fun to explore a bit. Downtown is nestled around a small bay which has a nice area surrounding it. There are many shops and attractions. Lots of runners out too. Probably more than I have seen anywhere as they seem to all come down to this area to run. I was prepared for a bad scene because that was the common perception but its actually rather nice. 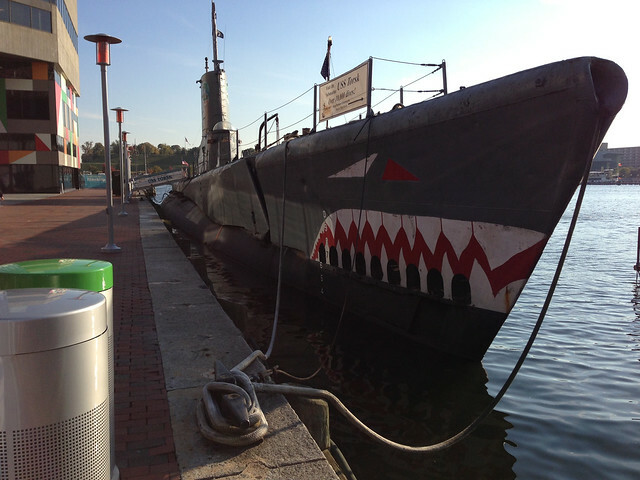 A few maritime displays along the water. 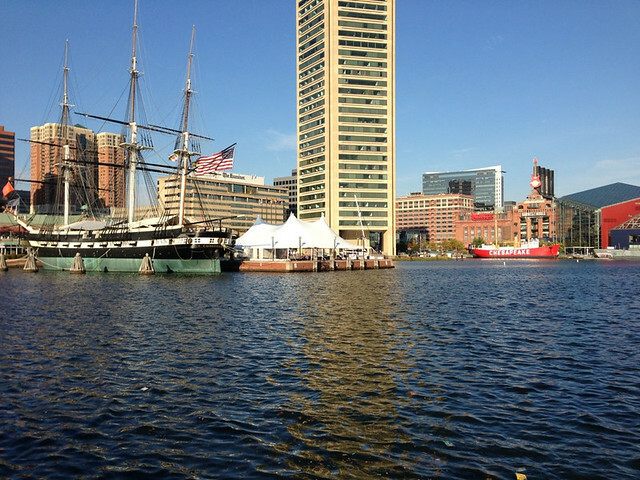 Here is the USS Constellation. That had a band playing on top when I returned for a private party. That sort of means that this boat must not be that legendary if you can rent it out for the night. 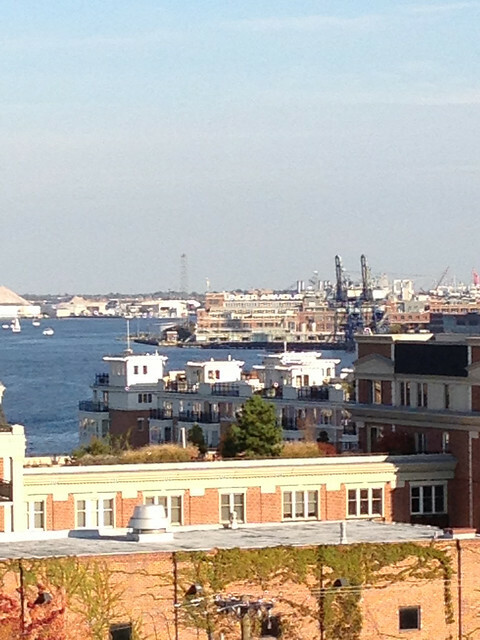 On the south side, I got up on a hill to overlook the bay a bit. I started the run across the water on the right out of frame. A couple miles gets you a long way in city running. Weird. I wouldn’t even be off my block at home yet. 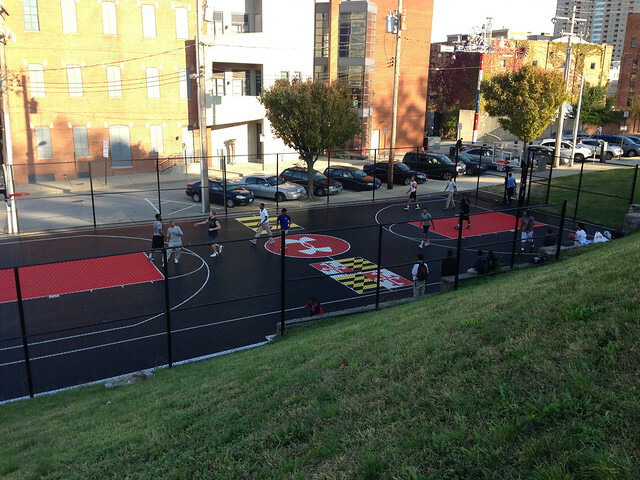 There was a pick-up game of hoops going on right there. I didn’t jump in but liked the court surface. That triggered my memory. 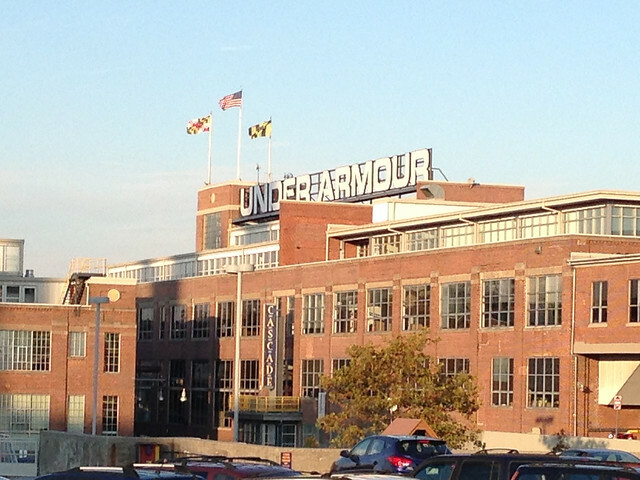 Under Armour is based here. That’s cool. Surfacing the courts. 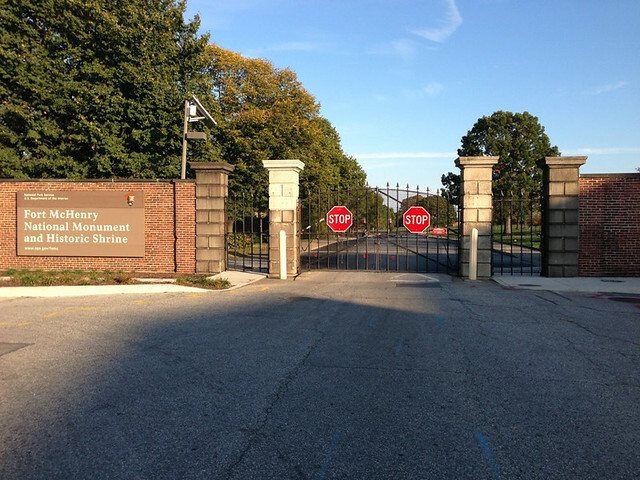 With that discovery and knowing that Fort McHenry was down there, I went that direction in search of more goodies. 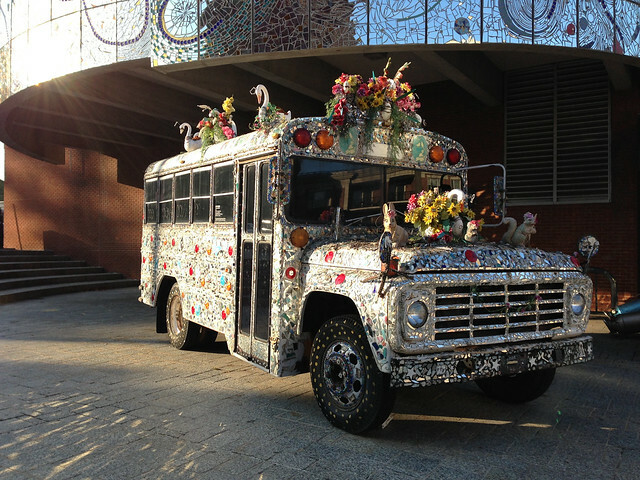 On the way, I found this bedazzled bus. 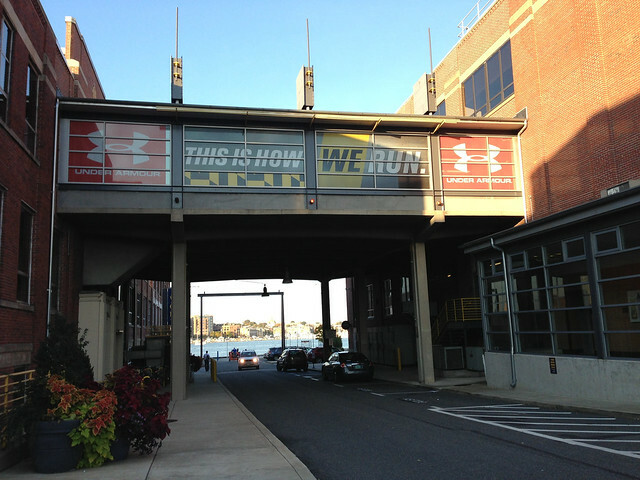 And then I arrived at the Fort to find it was…closed. 5PM. I saw lots of runners doing an out and back to the fort. Bummer its closed. Couldn’t really tell what was in there. Looks like a fort out on a point. Check. 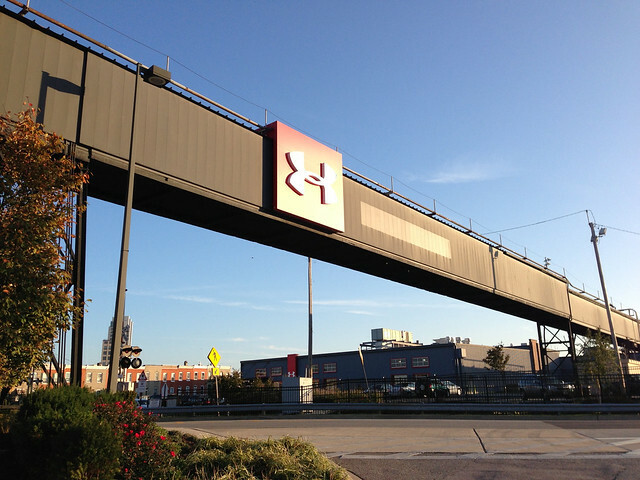 A couple zig zags and I found myself down in Under Armour HQ. I was all dressed in my run gear so I sort of looked like I might be someone. Everyone was all smiley. I found a turf field with some unrecognized folks jogging around on it. I tried to see if somebody wanted to have a meeting with me about a sponsorship but couldn’t find the right door. Oh well. Time to get back downtown. I forgot. I am here to work. I went 7.24 miles with an elevation gain of 52 feet in 01:08:50, which is an average pace of 09:30. View my GPS data on Garmin Connect.